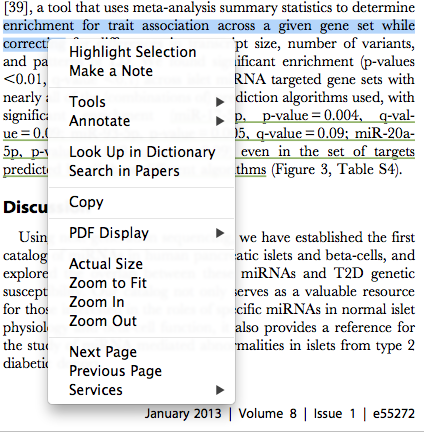 There are two ways to highlight, underline or strikethrough text in PDF. To turn on the continuos annotations mode (highlight/underline/strikethrough) or to add a sticky note, click one of the annotation tools. 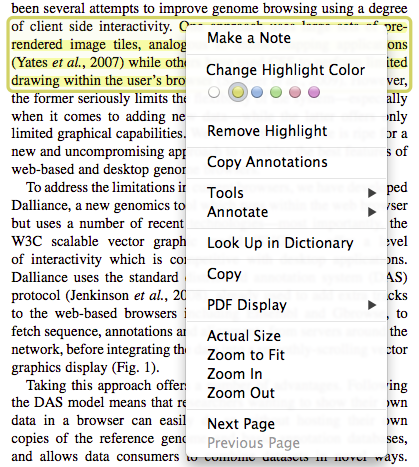 After enabling the annotation mode any text highlighted with your cursor becomes annotated. 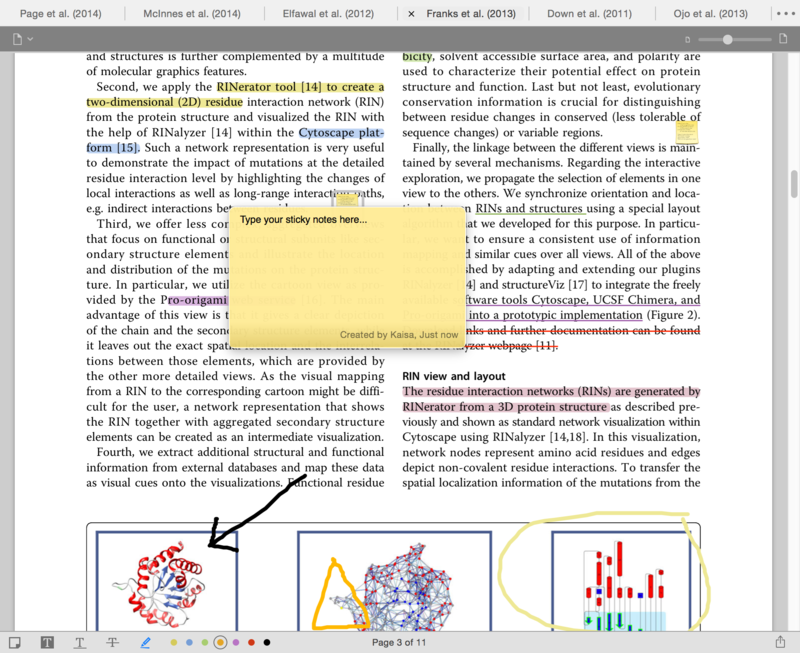 To exit the continuous annotation mode click on the currently highlighted annotation tool again. You can also make free hand annotations by selecting the pen icon from the annotation tools. If you don't want to use the continuos annotation mode, you can also just select any amount of text while holding the command key, and the selected text is automatically highlighted once you release the mouse button. Alternatively, select text that you would like to highlight, right-click and choose 'Highlight Selection'. By right-clicking on a highlighted section you can make changes to the highlighted color, remove the highlight, add notes, or copy the section of text. You can view all your annotations in the Inspector Notes-tab. 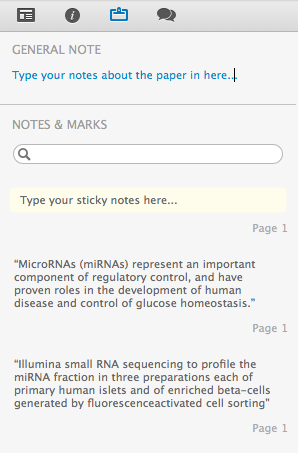 Please note that it is not possible to view free hand annotations in the Notes tab.